Here’s another ‘OMG’ moment because we’re revealing a new Boy Chanel Quilted Bag From The Fall Winter 2016 Collection Act 2. 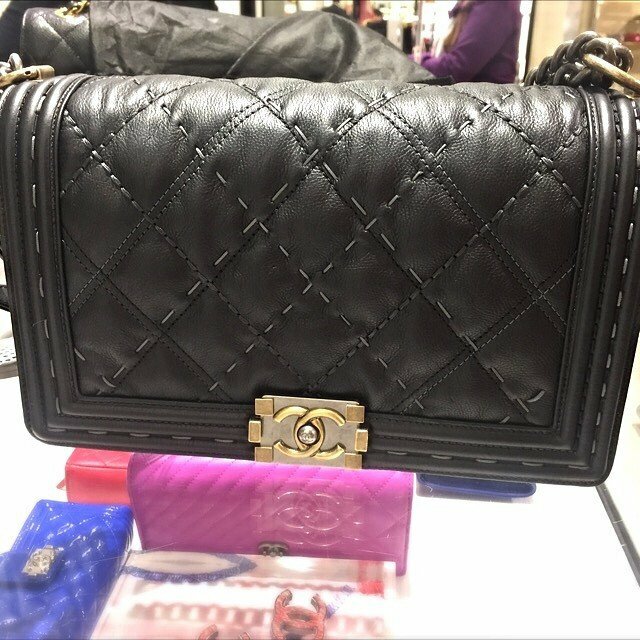 Well, you probably didn’t know this bag exist because it has not been covered on the Chanel website. And it’s to good to be informed about it, because this Boy is another masterpiece. 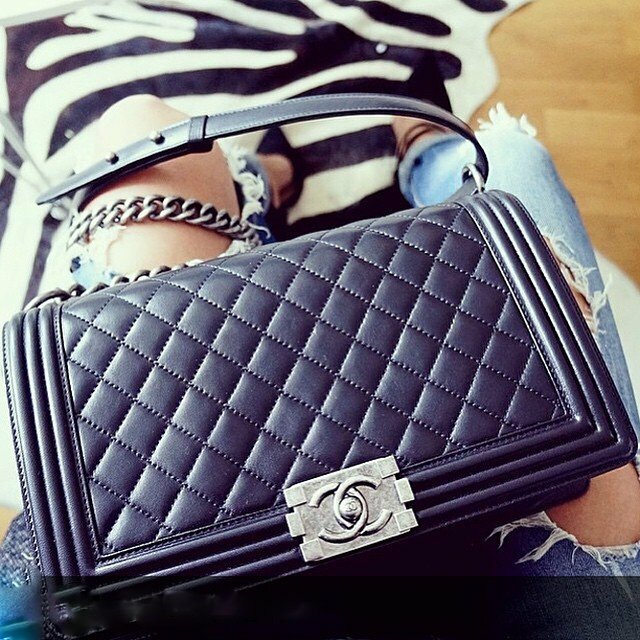 Just like any Boy Chanel, this bag is crafted with the Boy Chain and the Boy Clasp. It’s also quilted, but not the regular quilting that we’re used to. If you look closer, you will spot really thin ‘grey’ stitches in different sizes. There are long and short stitches, and they’re also decorated around the edges of the bag. What’s even more remarkable is the Boy Clasp. Zoom-in to the Boy Clasp and the chain strap, you will see that its made in duo-color Matte Gold en Silver Hardware – which makes our heart melt in seconds. 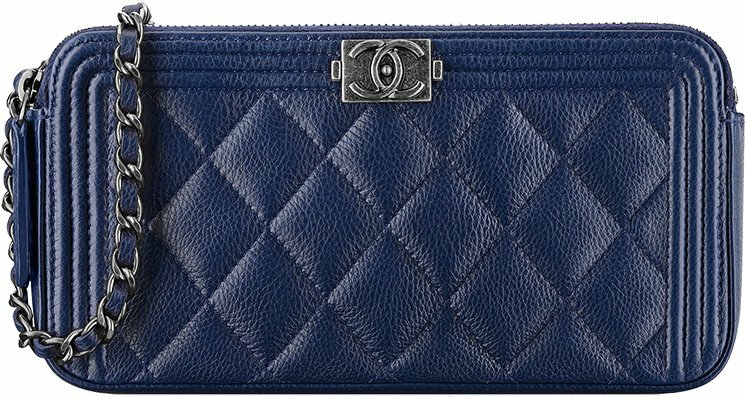 Now besides the small size, the Boy Chanel Quilted Quilted Stitching Bag is also available in the ‘Medium Plus’ size, also known as the ‘New Medium’. For this season, it’s crafted from calfskin. We do not have the style code or prices yet. For the details about the exact sizes, please go to: Chanel Bag Prices.